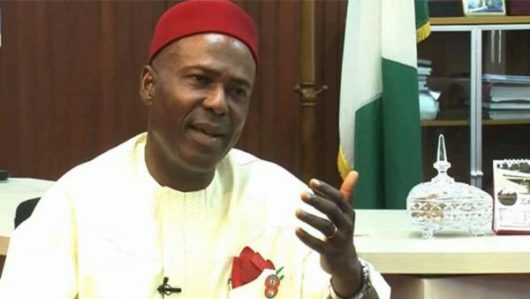 The Minister of Science and Technology, Dr. Ogbonnaya Onu has inaugurated a seven-man Inter-Ministerial Committee to drive the process of sending a bill on the Executive Order.5 to the National Assembly. The Committee, according to the Minister is required to expedite the process of sending the document as a bill to the National Assembly for deliberation and subsequent assent by the President. At the inauguration of the Committee, at the weekend Dr. Onu said that Executive. Order No.5 is the key to deploying science and technology for development, adding that the presidential assent to the Bill will make it difficult for the decision to be altered. Dr. Onu further said that “the Executive Order will empower Nigerians to use their talents and skills like never before”, adding that it will also enable Nigerians to depend on our natural resources, be self-reliant, increase our GDP and also stop the importation of undesirable goods. He recalled that last year the People Democratic Republic of China celebrated 40 years of reforms which pulled over 740 million of her citizens out of poverty, adding that Japan took the same decision after the second world war while India and South Korea has toed similar path. Dr Onu charged the Committee to make useful recommendations and also get the draft bill ready in three-weeks’ time. The Chairman of the Committee, Mrs Yvonne Odu-Thomas, in her acceptance remarks assured the Minister that Committee will come out with a credible drafty bill and deliver on time. It would be recalled that the Presidential Executive Order No.5 for Planning and Execution of Projects, Promotion of Nigerian contents in Contracts, Science, Engineering and Technology, was signed by the President on February 2, 2018 and was duly gazetted.